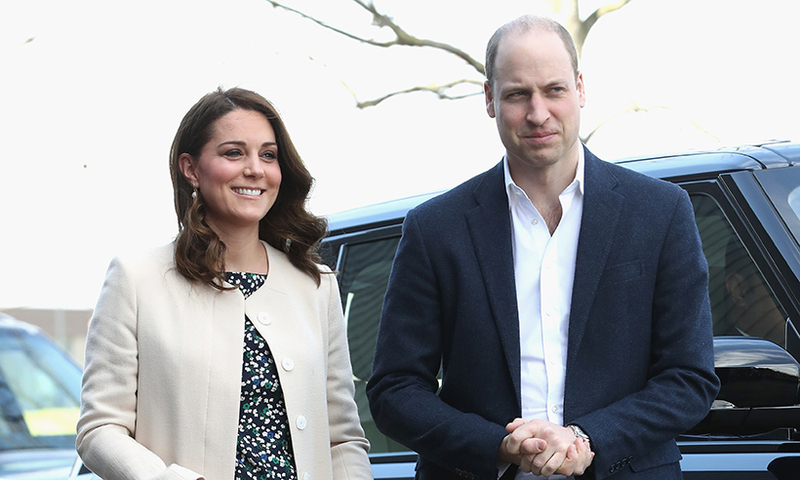 Prince William recently revealed that his third child is due “any day now”, and on Thursday, the Duke and his wife stepped out for what was Kate’s last engagement before maternity leave. 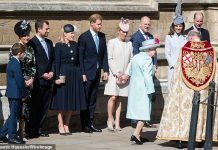 The couple spent the day in London celebrating the Commonwealth, ahead of the Commonwealth Heads of Government Meeting in April. Kate, who is due next month, was in high spirits as she arrived at Olympic Park. The Duchess sported a healthy pregnancy glow, showing off her baby bump in black trousers and a patterned Hobbs top. She beat the chill with a cream coat by one of her favourite brands, Goat. 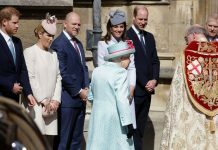 The royals’ first engagement was attending a SportsAid event; SportsAid charity helps young British sportsmen and women who aspire to be the country’s next Olympic, Paralympic, Commonwealth and world champions. William, 35, and Kate, 36, watched a wheelchair basketball session and met the players, some of whom are hoping to compete in the 2022 Commonwealth Games in Birmingham. They also watched a media training session for young athletes before taking part in a Commonwealth Quiz, where athletes, coaches and supporters were questioned on their knowledge of the Commonwealth, of which the Queen is head. The next engagement of the day took William and Kate to St Luke’s Community Centre in Islington, where they helped prepare food for a Commonwealth Big Lunch. The royals met members of the local community and joined a cooking group to help put the finishing touches to the meal. 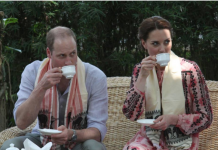 William and Kate chatted to the members about their favourite dishes and what inspires them to make them. The Centre hosts the Big Lunch every year as part of the Eden Project’s Big Lunch initiative, to encourage as many people as possible to have lunch with members of their community once a year to share food and encourage friendship. 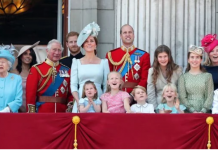 Previous articleWhen will Kate Middleton go on maternity leave?